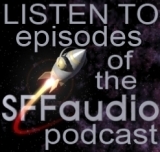 The SFFaudio Podcast #030 – is rather different than previous programs. This one has no talk, it’s all story. I asked for and received permission to record a short story by previous SFFaudio Podcast guest James Powell. 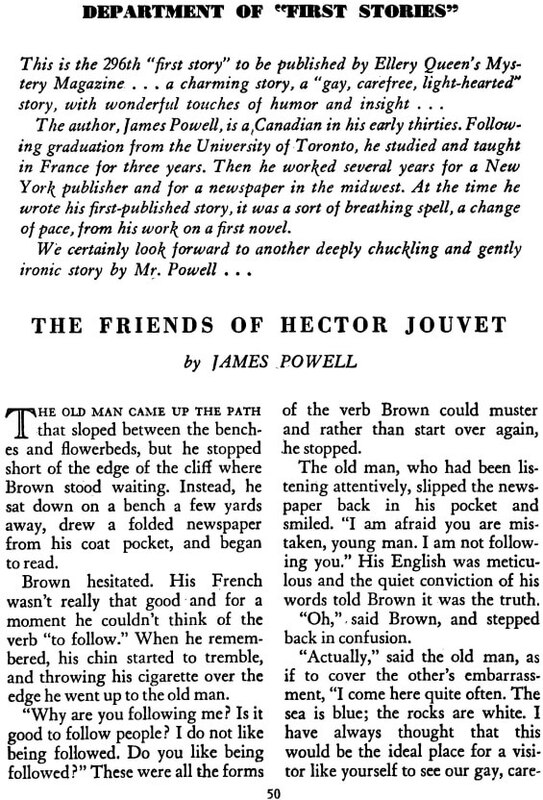 The Friends Of Hector Jouvet was Powell’s first ever sale. It was originally published in the April 1966 issue of Ellery Queen’s Mystery Magazine. Our audio version is skillfully narrated by J.J. Campanella. This is a great story. Enjoy! A young Canadian dentist, whilst backpacking through Europe, finds himself atop a high cliff looking out over a principality on the French Riviera. Standing behind him is mysterious older man, a local resident, who needs to tell him a story. First published in the April 1966 issue of Ellery Queen’s Mystery Magazine.